Manufacturers of roof Ventilators, Chimney Cowl, Natural Ventilation, High Quality Products at Best Price. 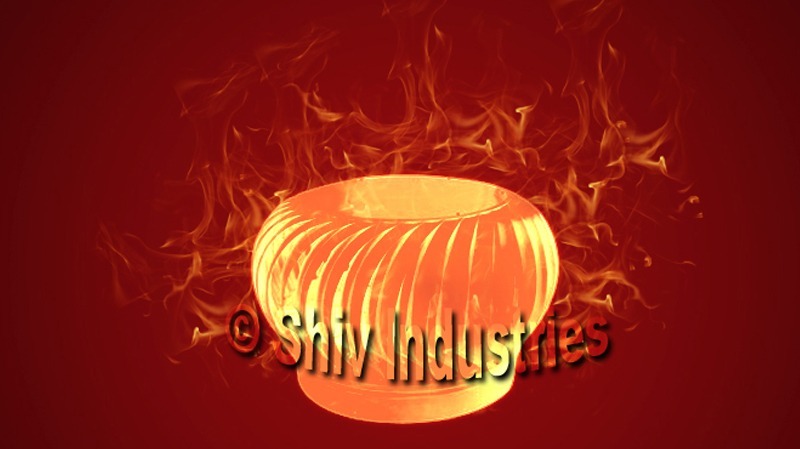 Shiv Industries is one of the leading Roof Turbo Ventilator Suppliers and Manufacturers in India. These Rooftop Air Ventilators are designed after the research of many years by experts. These Rooftop Air Ventilators come with unique facilities that make them applicable in various industries. Specifications âï¿½¢ Technically advanced âï¿½¢ Based on latest principle of operation âï¿½¢ Wind powered roof mounted ventilators that are designed to withstand high wind speeds âï¿½¢ Made up of closely spaced profiled vanes, these are rain water & bird proof âï¿½¢ Capable of removing heat, dust and fumes âï¿½¢ Centrifugal force created by rotating vanes of turbo vent âï¿½¢ Suited for buildings with explosive environment âï¿½¢ Can be easily mounted on any roofing âï¿½¢ Assured ventilation âï¿½¢ Superior in performance âï¿½¢ Environment friendly âï¿½¢ Sturdy in construction âï¿½¢ Light in weight âï¿½¢ Cost effective âï¿½¢ No maintenance cost Used for all Industries âï¿½¢ Automobiles and Auto Ancillaries Industries âï¿½¢ Construction and Infrastructure Industries âï¿½¢ Chemical Industry âï¿½¢ Paper, Printing, Publishing and Packaging Industries âï¿½¢ Iron Steel & Metal Industries âï¿½¢ Food & Drugs Industries âï¿½¢ All Light Factory âï¿½¢ Garments and Textile Industries âï¿½¢ Food Industries âï¿½¢ Drugs & Chemicals Industries âï¿½¢ Petroleum, Oil Industries âï¿½¢ Lubricants Gas Refineries âï¿½¢ Machine and Hotel âï¿½¢ Cinema & Marketplace Etc.